How to add and edit extensions/item options in the ctAdmin interface. Below is a Guide to editing Item options (extensions and extension groups) in OrderCentral's ctAdmin interface. Note: Some options will vary from due to customizations. This should be used as a general guide to using the "Extension Group Admin" interface. Go to the ExtensionGroup Admin. Enter in a unique key/name for the extension group. And descriptive title (group name). 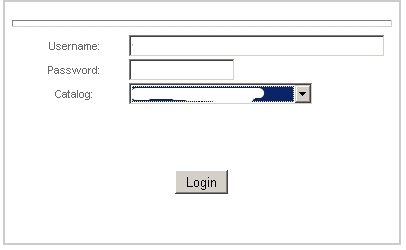 The name field is what is displayed for the user on the website. Then click the "Add ExtensionGroup" button to add it to the system. You can now change the name/title that is displayed on the drop down boxes on the site for options. Change the name and hit the "Update Extension Group" button. Note: you can not change the extensionGroupID. If you need to change this, make a new group. Adding/Changing options for an extension Group. Click the "Edit Options" link next to the extension group you want to edit. You can add up to 2 new options each time. After clicking the "update extension group" button you can add 2 more until complete. After you are done making changes to extension groups or extension options you must rebuild the catalog. Go to the Extension Group Admin screen. Click the "Rebuild Extensions Data" link. Click "Ok" on the confirmation box. 4. The changes should now appear on the user website for all products using those extensions.